Beauty is being the most possible version of yourself on the inside and out. When you are in the pink health, it will bring about radiance, energy and vitality. 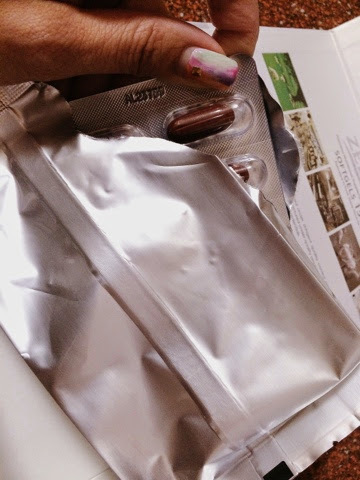 On my earlier blog on Zell-V, they did a test on my cellular health. I was not the worst of the lot, but still had room for improvements on my health. I had few free radicals, which could lead to more problems. Kick started my Zell-V journey for about 2 weeks now. I delayed my start due to a skin breakout previously. I didn't want to mix my antibiotics with Zell-V (though doc said it was fine) and I wanted to achieve the true effects from Zell-V.
All soft gels are securely packed to maintain their freshness. 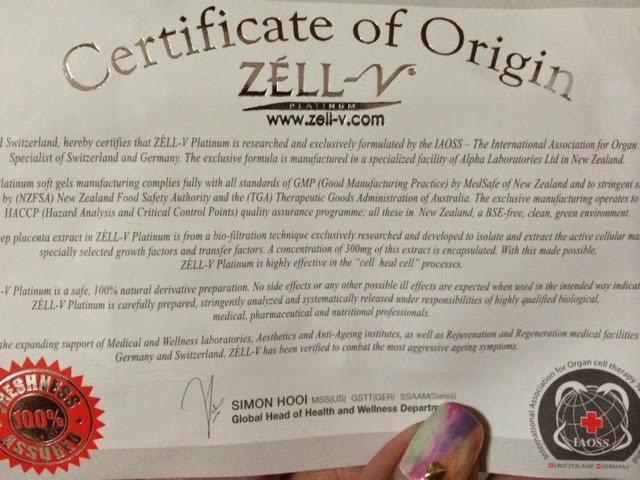 All boxes of Zell-V come with a Certificate of Origin to prove its authenticity. Zell-V is manufactured under stringent safety and quality assurance regulations and constant supervision by the health authorities. Hence has therefore earned many prestigious awards. This was me when I was 31 years old. This is the current me at 38 years old. After two weeks of taking Zell-V, the most significant postive effect on me was having a complete night's rest. All the while, I used to have a whole night of dreams when I would wake up the next morning feeling lethargic. I also realised I dropped lesser strands of hair now after washing. 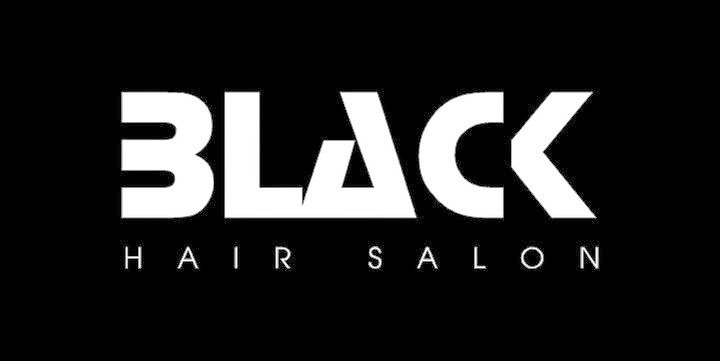 Instead of a clump of hair, it was just few strands of it now after combing. This was amazing. 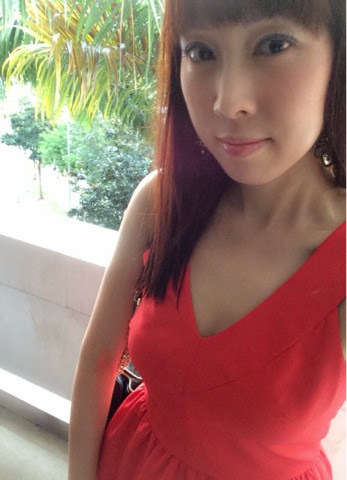 With a hectic lifestyle as a career woman, mum of two young girls and blogger. Zell-V had indeed helped me to tide through these weeks in a breeze. I could still continue to look great or even better in the most easy and effective way. I will continue with Zell-V to combat premature aging. 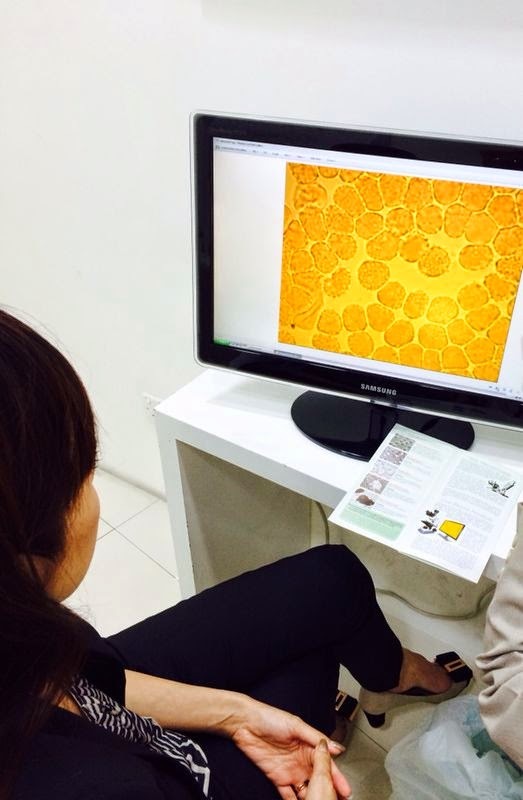 With younger cells, it will lead to a healthier body. When you are in the pink of health, your face will glow too. At 2am in the morning now, still up and awake writing, it had really proven the amazing effects of Zell-V. Isn't this such an incredible invention just for us busy ladies who want the best for ourselves? Kickstart your journey with Zell-V by fixing a Cell Check now. Hi oinkeebabe are you still taking Zell V can you advise on the efficiency.